While planning for the preschool year, it’s important to break the process down into actionable steps. This has the dual benefit of making planning less overwhelming and ensuring that the important details are covered. The first big step is annual planning, where your goals for the year are mapped out. 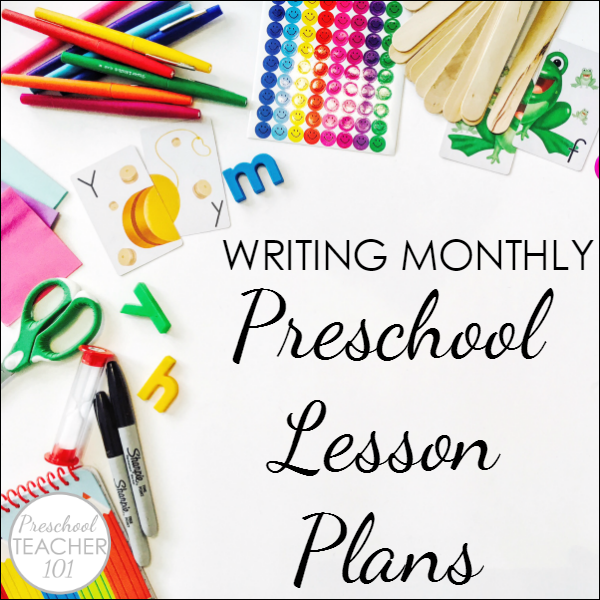 From there, it’s on to writing monthly lesson plans for preschool. Begin by reviewing the annual plans you developed. This will keep you focused on your goals for each individual month. With those goals in mind, pull out the monthly planning sheets for the upcoming month and begin! Using your annual plan as a guide, write down the focus area(s) from each subject. We generally begin with math, science, and literacy. You may have one specific focus for a subject, or you may have two or three. Try not to have more than a few main focus areas per subject, though. This will help keep your planning clear, concise, and on-point. You can write the focus areas on the monthly planning sheet or type it in, as the sheet is editable. Next up is recording whole group and small group lesson activities on the monthly planning sheet. Begin with one subject and come up with ideas related to the focus areas you’ll be teaching. The monthly theme can also be considered when drafting ideas for the lesson activities, but not all of the activities need to be thematic in nature. When coming up with lesson ideas, we often refer back to past lesson plans and ideas that have worked with kids before. Sometimes, it’s also just a matter of being inspired to try something new. While considering the focus areas and the theme, you may come up with a new idea you want to try. Be sure to record that on the monthly planning grid. Collaborating with other teachers is another wonderful source of lesson ideas. It’s amazing the ideas that come from a planning session with colleagues. They’ll be able to share what’s gone over well with their students, and they can add ideas and questions to build upon what you already have written down. Teaching books are another resource to consult when coming up with activities for the month. Your school may have play-based curriculums on-hand as references, as well as the many theme-based books available. Check your local library or look online if you’re in the market for more teaching books. Of course, Pinterest and Google must also be included here! There is a wealth of knowledge to peruse online when it comes to teaching ideas. Search both sites using your focus areas, subjects, and theme ideas. Additionally, look through Pinterest accounts of other teachers or education bloggers. You can see what boards Fantastic Fun and Learning has, along with Fun-A-Day’s Pinterest boards. The second monthly planning page is devoted to books, songs, poems, and fingerplays. Create a list of books that you want to read to your students for the month. These can be favorite books that fit the season, month, theme, or focus areas for the month. They could also just be books that you know the kids will enjoy! No matter the reason, be sure to write the titles down. When you’re going to the library, the bookstore, or your home library, having a list to consult can help make preparation easier. The books listed here can be used during read aloud time, and they can also be books that you stock your reading center with for that month. Songs, poems, chants, and fingerplays are another important part of preschool. They teach the children so much about oral language! They’re also helpful in making transitions easier for both teachers and students. Plus, they’re just plain fun. Use the resources listed in step two to help create a list of books, songs, etc. for the month. 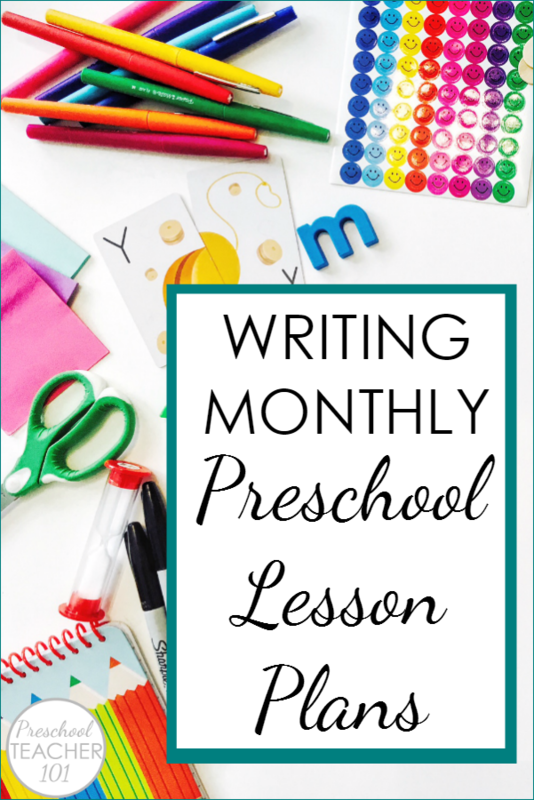 The last step of creating monthly lesson plans for preschool is all about centers. Center time is when children are able to spend time with their friends and work on those incredibly important social skills. It’s also when kids can explore the concepts they’ve been learning in class. Ideally, center activities should be independent and student-driven. They should be things the kids can do mostly on their own (or with friends), and the activities should extend on what they’ve already learned. Again, refer to the sources in step two when contemplating ideas for your center time. Remember that not all of the activities need to relate to the month’s theme, but it’s always fun to include some that do. Lesson Plans for Preschool – Where to Next? Be sure to print out your own copy of the monthly lesson plan sheets. They’re meant to be a getting-started tool for you; a blank canvas for all of your amazing preschool planning ideas. You can edit them on the computer or use them to take notes with. Whatever works best for you. 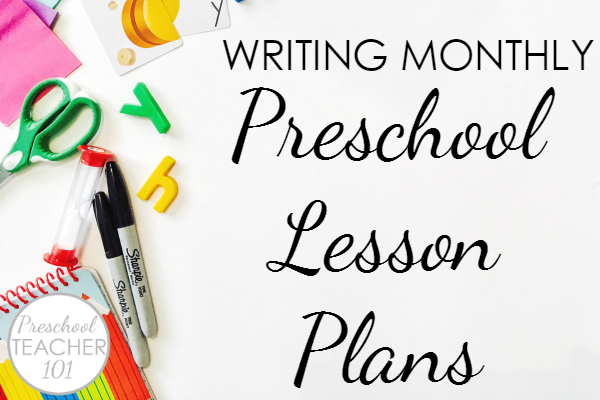 Now that you’ve got your monthly ideas mapped out, it’s time to start creating your weekly lesson plans for preschool.